In the 1990s, medicine was reaching a turning point. Healthcare prices were constantly increasing, the doctor-patient relationship seemed weaker than ever, and all in all, medicine seemed to become more about the money then about treating people. For these and many other reasons, patients started turning away from evidence based medicine (EBM) and shifted their attention to Complementary and Alternative Medicine (CAM). 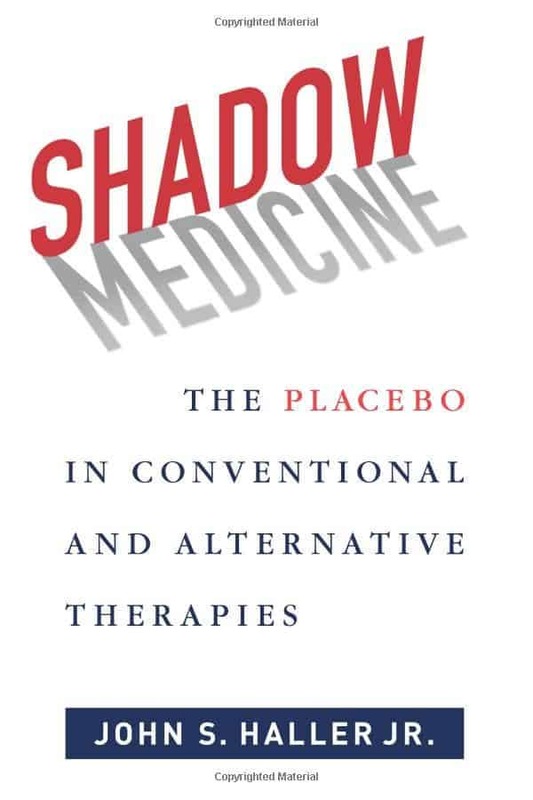 In Shadow Medicine, John S. Haller makes an extremely thorough, unbiased and eye opening analysis on what CAM really is, what its results are and how it interacts with conventional medicine. Indeed, it really impressed me to see how he can discuss extremely polarizing matters without taking sides. Throughout the entire book, he rarely emits opinions, instead drawing just from other studies, reports, or historical facts; and boy, does he present a lot of facts! Even though I consider myself quite familiar with the history of modern medicine, I found myself highlighting passage after passage, learning more and more. For example, I learned that homeopathic colleges were quite common in the first part of the 20th century, but they started closing quickly after the 1930s, when homeopathy failed to deliver any results. Indeed, one of the recurring themes in Shadow Medicine is that CAM has been consistently inconsistent in proving that it is a valuable alternative to conventional medicine. However, Haller isn’t quick to dismiss alternative techniques. The vast majority of the people on the planet (including over half of all Americans) has, at least once, relied on alternative treatments – and at least sometimes, they do seem to give results. The most important thing, he suggests, is the relationship between the physician and the patient. If the patient has trust in the physician (or why not, shaman) and a relationship is established, the treatment, whatever it is, is more likely to work. That’s a big mistake. Regardless of what you are trying, you should be open with your physician, as hiding this information may interfere with the treatment he gives you. Furthermore, since people choose to invest in CAM, even with it’s unclear and inconsistent results, they don’t invest in conventional medicine, which might work better. But CAM has been here for millennia, and whether we like it or not, it’s here to stay, in one form or another. We have to find a way to bridge the alternative therapies which work with conventional medicine and see how we can take the best from both worlds. It is my personal opinion, as it is also suggested in the book, that we need a bridge between the placebo and conventional medicine. But either way, no matter how you look at it, placebo is a powerful element, still used in modern medicine and occasionally prescribed by doctors throughout the world. All in all, the book is a great read. It provides an insight into how medical studies are conducted, the history of medicine and complementary, alternative techniques and how they interact. I learned a lot by reading it, it was easy to understand and brilliantly presented. I’d recommend it to everyone – from someone just curious about shadow medicine to experienced physicians.